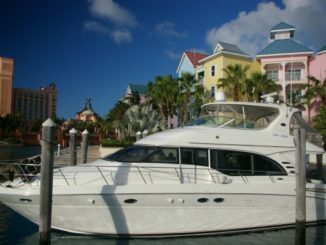 If you had the opportunity to receive professional training on your new trawler, that may also be the last one you get. From then on, you’re on your own. 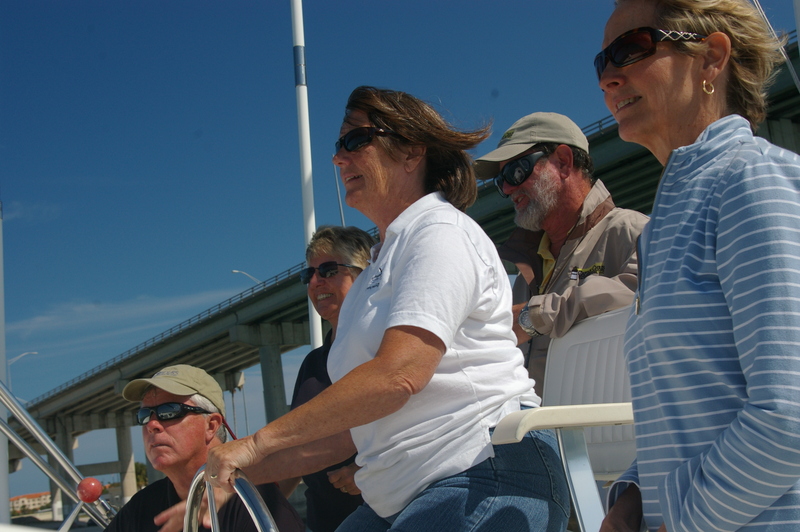 Of course, if you buy a used (experienced) boat, the training comes with the user manual! After knocking around the idea of couples coordination and communications on Krogens, a few of us thought that a hands-on refresher training session would be very worthwhile. 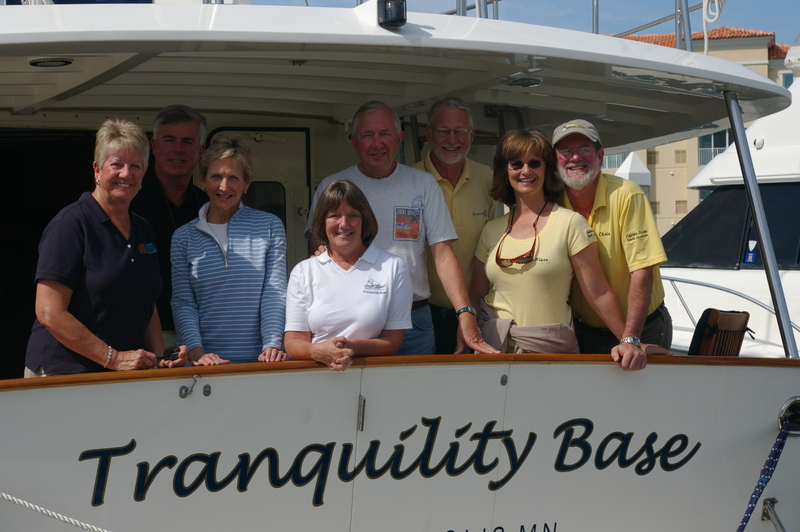 So, last spring three Krogen couples banded together for some refresher training in Ft Pierce, FL. 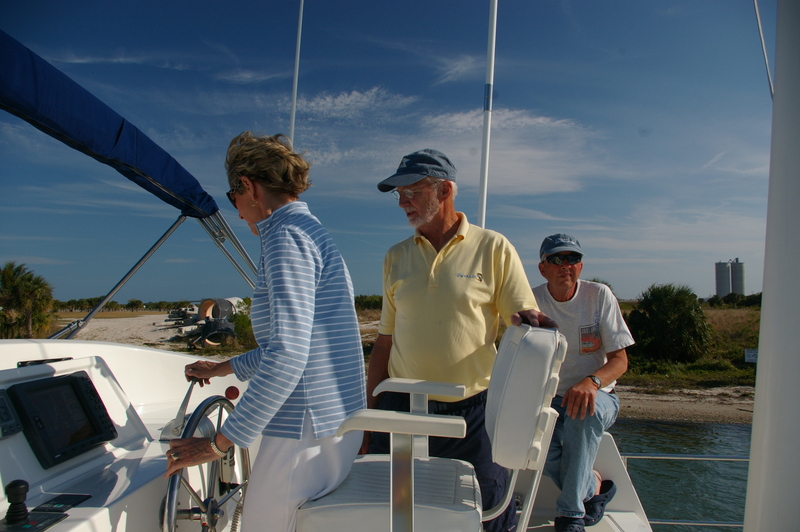 Chris and Alyse Caldwell of Captain Chris Yacht Services, LLC offered to provide a couples-oriented day on the water. 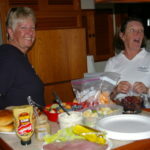 Both are well known and respected within the Krogen community for their training, delivery and maintenance expertise. 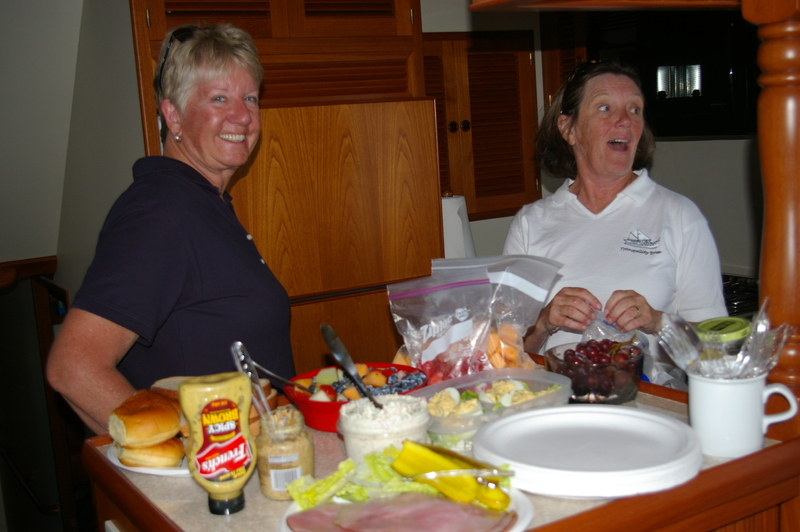 Chris and Alyse are both 100 ton USCG Masters and have cruised together on their own 44′ MY Sandy Hook. 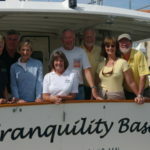 This gives them a unique perspective for training couples in the whole spectrum of cruising. We elected to use Mike and Casey Ruhr’s Krogen 48 Tranquility Base as the training platform. Al Halverstadt and Susan Weeks (TwoCan) and John and Pam Loving (Compass Rose) completed the trio and were very excited to get to ‘drive’ a 48. The foundations of Chris and Alyse’s training philosophy are formulating a plan, implementing the plan and communicating it to each other. 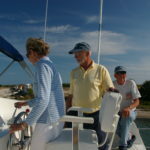 Each couple was given the opportunity to be the ‘captain’ while the other was ‘first mate’. Then we switched roles. Although we favor using headsets for communications, Chris does not like headsets due to their tendency to fail at a critical time. After departing Mike and Casey’s slip, Chris smoothly demonstrated backing into the slip. Then everyone else got the chance to try it. 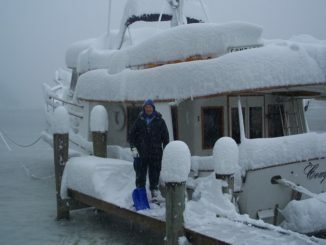 The large bow thruster made steering the Krogen 48 in reverse a simple matter. Chris demonstrated how a Krogen rotates around a centerpoint with the thruster. Who knew?! Next up were some anchoring drills. 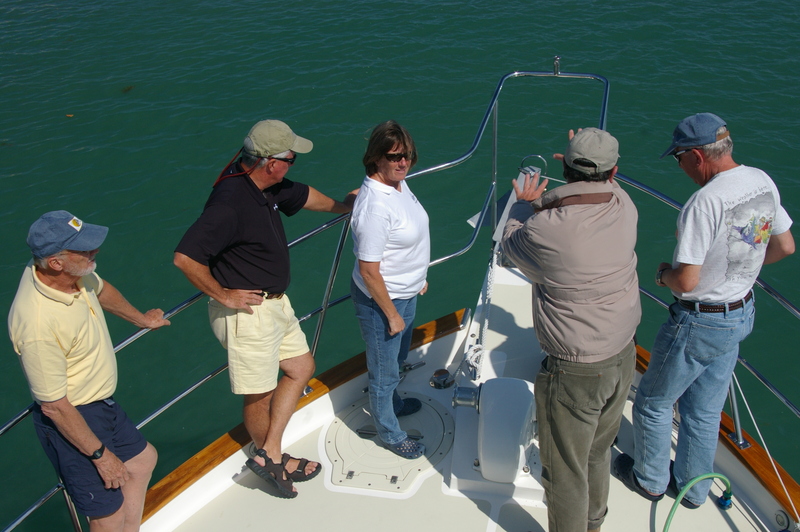 After circling the proposed anchoring area to check the water depth, everyone got a chance to set the anchor. Each couple devised a set of hand signals to ensure communications were smooth. Chris discussed the varieties of anchors and bottoms and ways to ensure a solid hold. 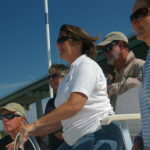 After pulling up anchor we headed north past the Ft Pierce inlet where a fierce cross current was flowing. Chris explained what to look for and expect in such situations. 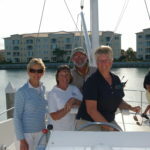 Arriving at their marina, we all tried our hands at backing into much narrower slips. Then we each got a chance to put Tranquility Base against a parallel dock both with and against the current. Both Chris and Alyse continued to emphasize using clear and succinct language: “Over there” is not a clear plan. Instead try: “I’ll make a turn after the fuel dock and land starboard on the end of dock C. But just in case the wind is blowing let’s be ready with lines and fenders on both sides.” This is a more specific plan and clear to everyone. 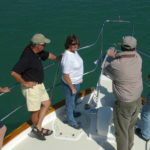 Chris also pointed out that it is permissible for the Captain to step away from the helm and look outside the boat (!). The old ‘a picture is worth a thousand words’. All in all, this was a fantastic opportunity! Everyone came away with a much better understanding of each other’s roles and the value of clear communications. 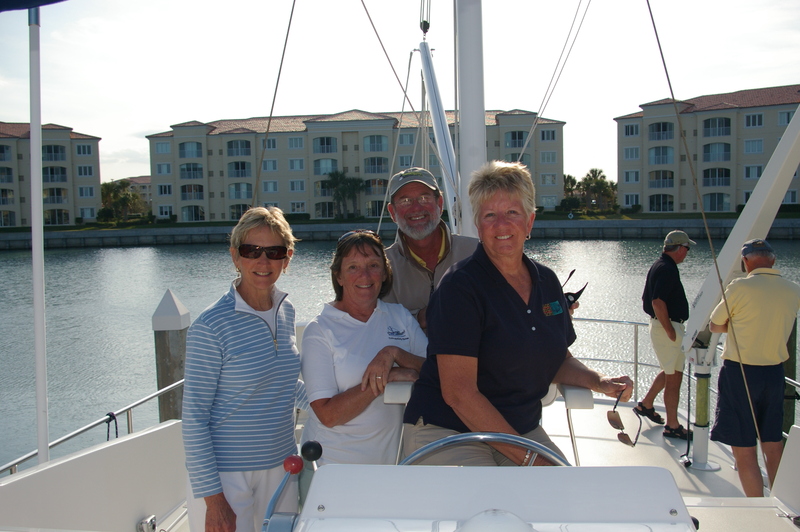 It was an invaluable experience to be able to tap into Chris and Alyse’s vast store of trick and tips on cruising and boat handling. 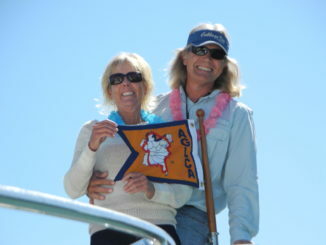 From Captain Chris & Captain Alyse: Thanks so much to Pam & John Loving and the entire Krogenite Krew. 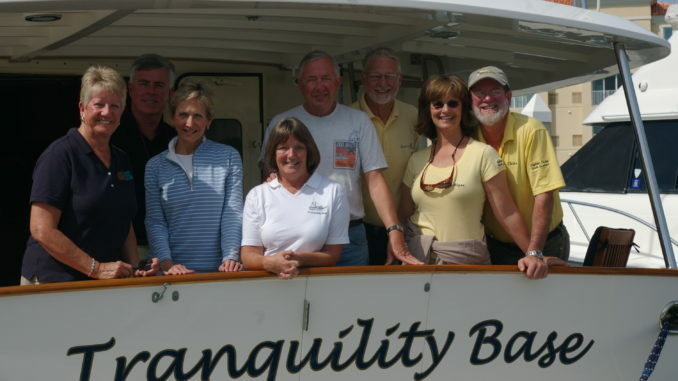 It was a fun day on the water and we are so pleased you asked us to join you!